March 11, 2015 May 30, 2015 / Josh Dragon, P.E. It was 3:00 AM in the morning and the entire wall was pitch black except for the small circle of light from my headlamp directly in front of me. The small amount of light actually helped me forget that I was half way up the face of half dome, some 1000’ above the ground. My lips were cracking from the dehydration and my body was sore all over from climbing 21 hours straight. I was going as fast as I could at this point, fueled purely by adrenaline. I was trying desperately to make back the time we had lost earlier when we had gotten our rope stuck and spent the entire afternoon freeing it. My goal was to reach the small ledge (our intended camp ground) some 200’ above me so I could finally stop. Stop climbing, stop being awake, take a sip of water so I could stop being thirsty, and stop fighting the fear that had been boiling in the pit of my stomach all day. I have been climbing now for about twelve years. The first time I tried it I was instantly hooked. Climbing consistently provides some of the most exhilarating and terrifying experiences simultaneously. An old French climber, Lionel Terray once said that climbers were, “The conquistadors of the useless.” In many ways this notion rings true. Climbing rocks really has no practical use to climbers or to mankind for that matter. There is usually a much easier way to get to the top (like a hiking trail). Once there, what has really been accomplished? The mountain is still there and it cares not an iota of what you just did. Despite all that, I believe that climbing (or any activity that forces its participant to engage their fears) is a worthwhile endeavor. I believe you will learn some of life’s greatest lessons by doing things that scare you. The process of engaging fear and learning to work through it is why I believe climbing is useful. The real question is, will you take those experiences and use them to positively impact the world around you? 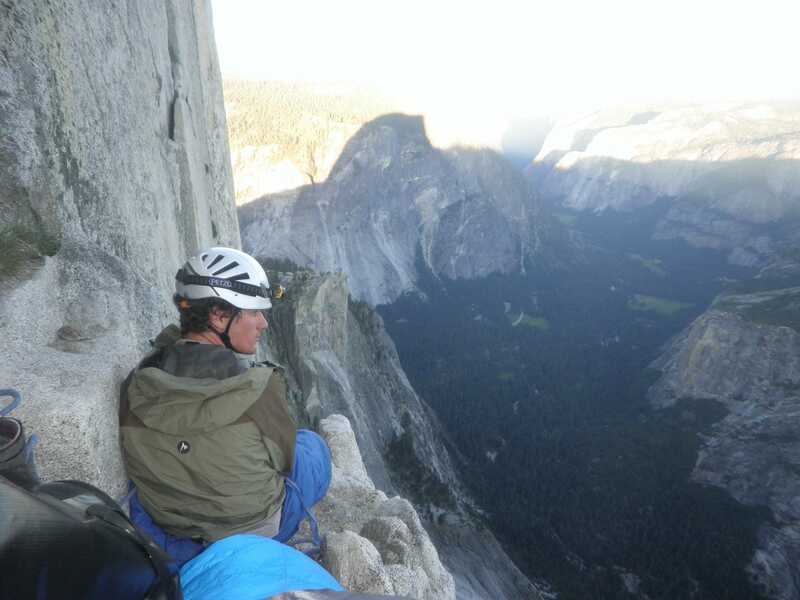 For me, the lessons about fear I have learned from climbing have helped me to be a better product manager. There are so many times that I have felt the same gripping fear at work that I have felt in the mountains. New products, strategies, systems, and markets can all be terrifying propositions. It is vitally important that we learn to engage our fears, so that we can be effective leaders. 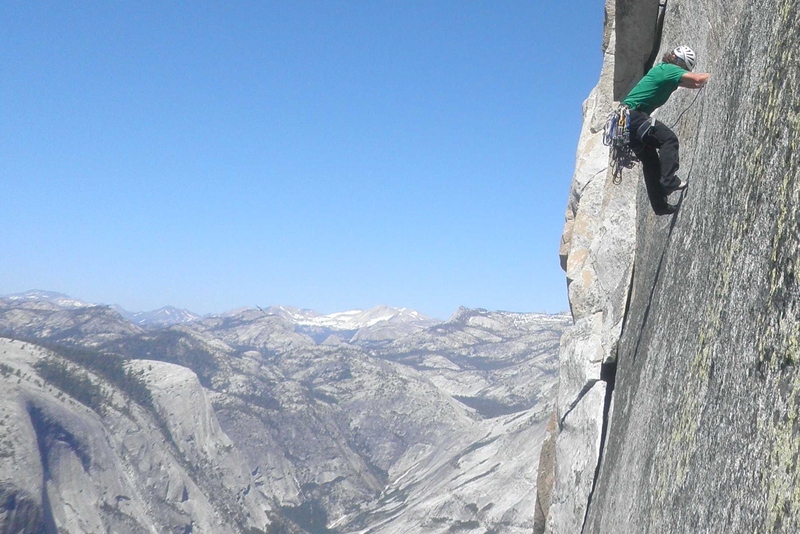 Below are some of the lessons that rock climbing has taught me about my fears. I hope these will help you as you work to understand and engage your own fears. Confusion If you climb long enough you are eventually going to fall. The worst part is that you usually see it coming. Right before I am about to fall I start breathing rapidly and my heart rate elevates. Immobilization. At this point my fight or flight responses kick in. I begin to think irrationally. Instead of making a decision, I think of all the worst case scenarios. This leads to me doing the worst thing possible, which is doing nothing at all. Panic. Instead of focusing on my breathing and regaining control of my mind, I commit to a final act of desperation. I throw myself at some hair brained solution and end up falling. Practice. I participate in activities like rock climbing that require me to engage my fears. It does not have to be rock climbing though, or sports for that matter. Whatever activity provides you an opportunity to practice being afraid and working through that fear. Rely on the team. This is one of the greatest lessons climbing has taught me. There have been so many times that I have been defeated mentally and physically. In those times, my partner stepped up on got us to the top. Surround yourself with people you can trust to help carry the load when you’re down and out. Coaching. I seek out people who regularly practice engaging their fears. I observe, listen, and ask lots of questions. I try and emulate the behavior they demonstrate when working through fear. Map my fears. I literally write them down on paper. I just grab a pen and a paper and start writing. I try not to think, I just write. I am always surprised at what comes out. This helps me identify those things I am afraid of and then I can begin to work through them. I hope this post can inspire you to run towards your fears and not away from them. If you found this article helpful, please share it on your favorite social media site.